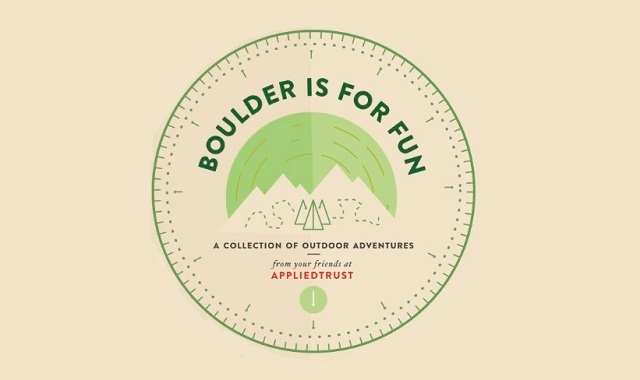 Boulder Is For Fun A Collection of Outdoor Adventures #infographic ~ Visualistan '+g+"
This infographic by AppliedTrust is a tourist’s guide to the nature trails of Boulder, Colorado, and it leaves us with some serious wanderlust. 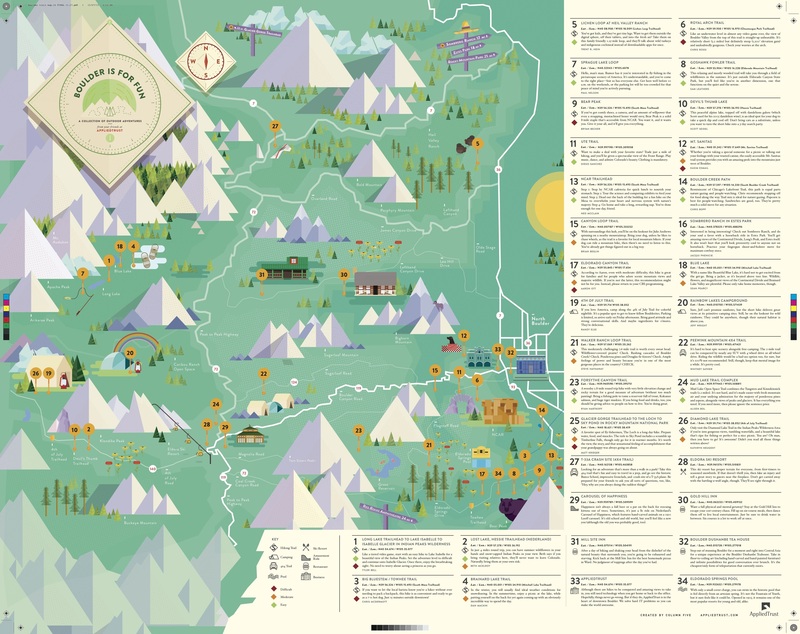 With a bit of a retro style and intricate illustrations, this infographic proves a great practical resource for the hipster traveler in us all. So print this poster, stick it in your Herschel bag next to your Toms shoes, and get ready for one happy adventure in The Centennial State.